Uppsala, Sweden and Cambridge, UK—February 13, 2019—IAR Systems®, the future-proof supplier of software tools and services for embedded development, and Secure Thingz, a global domain expert in device security, embedded systems, and lifecycle management, announce that the security environment Embedded Trust™ is available for implementation in designs through the industry-leading embedded development toolchain IAR Embedded Workbench. The integration enables designers to include security development as part of their day-to-day development workflow. 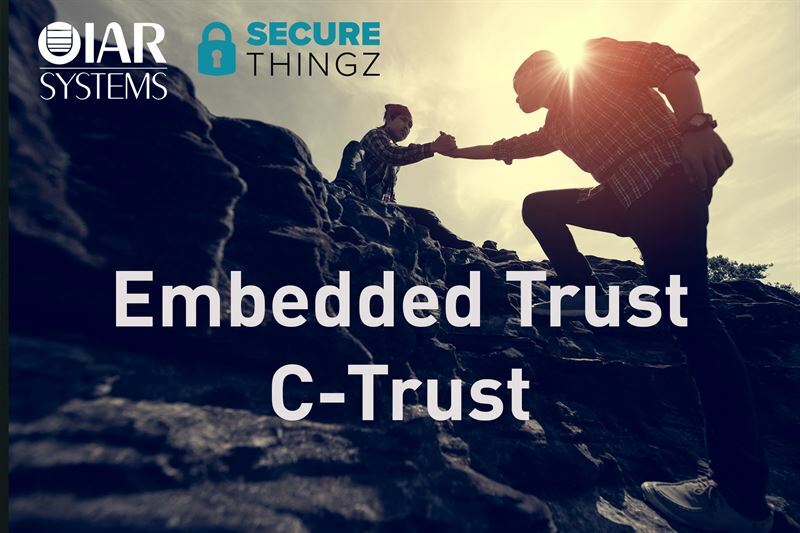 In the embedded industry, security has become the main concern. With the growth of IoT, the ability to ensure the protection of intellectual property and data has become a crucial success factor. Implementation of good security has traditionally been a challenge as it is not a core competency of most developers. In order to overcome this, IAR Systems and Secure Thingz are providing new solutions for simplified, streamlined, and scalable security implementation. Please do not hesitate to contact Gerard Fianen at INDES-IDS BV to discuss your application and csecurity needs.